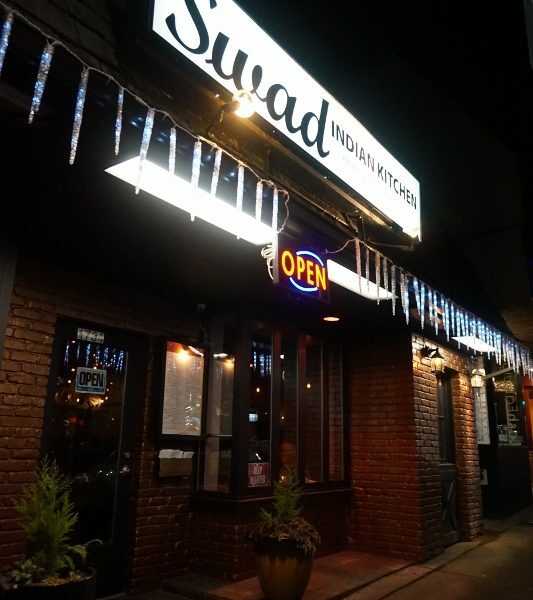 Swad Indian Kitchen is an Indian restaurant that opened in summer of 2015, located on Marine Drive, West Vancouver. Not to be confused with the Marine Drive in south Vancouver, this is located in North Van. Even though this is quite far from my house (I live in Richmond), I decided to give this restaurant a try with Queen B since I was invited by their restaurant owner and PR team. When we first entered the restaurant we were in awe of how beautiful the dining room was and how sophisticated everything looked. 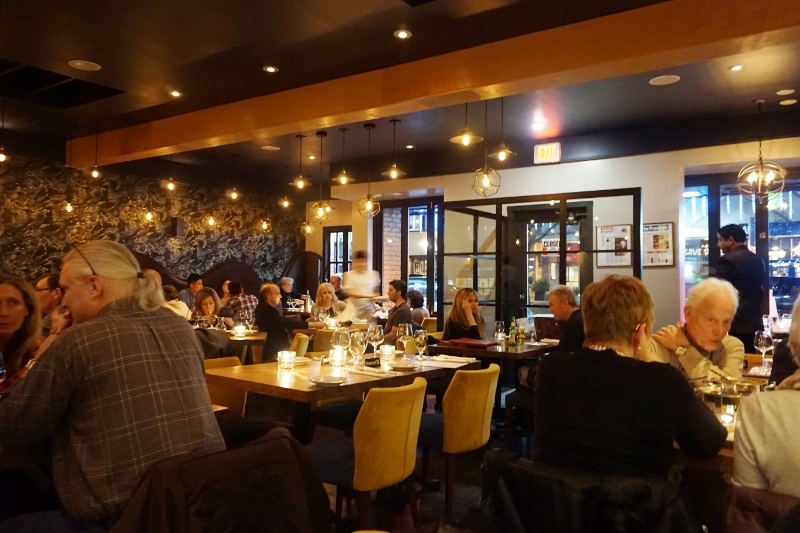 From the gorgeous lush seating to the intimate (not to mention romantic) candles on every table, you feel like you’re dining in a five star restaurant inside a hotel. I always get Mango Lassi ($4.00) wherever I go and this was no exception. 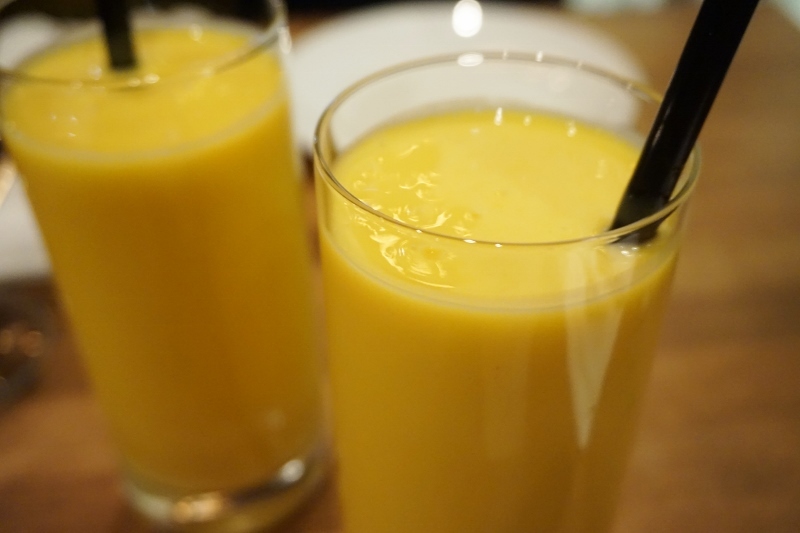 Their Mango Lassi was thick, creamy, and tasted of thick greek yogurt and real mangoes. Whether they use fresh mangoes or mango puree I’m not sure, but either way I didn’t mind because it tasted great. 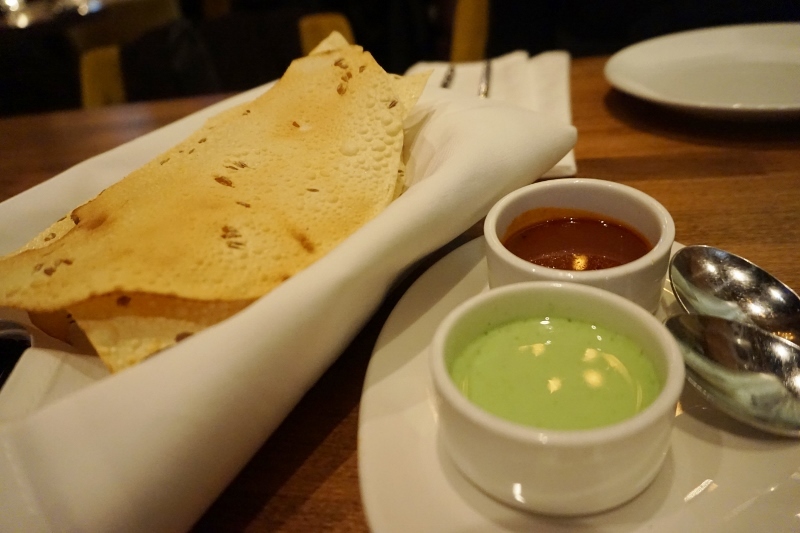 As an appetizer we were served Paapar ($2.00) which is essentially roasted lentil crackers, or Papadum. Accompanied by two sauces, a cooling mint yogurt and a tamarind chutney, both went great with the crackers, though Queen B and I slightly preferred the tamarind. If you were to come and try only one dish, let this be it. 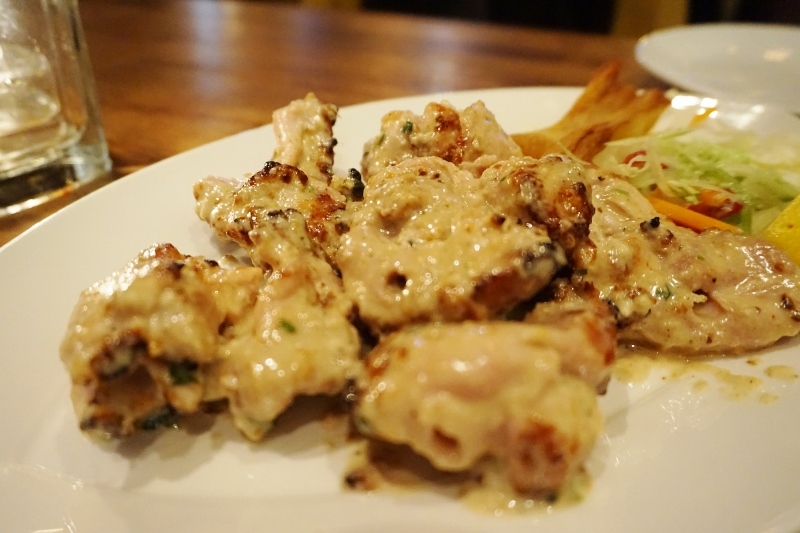 It’s called Swad-E-Khas ($22.00) and it consists of chicken thigh infused with yogurt and almond paste. Trust me on this, just get it. It tastes a hundred times better than it sounds (because yogurt and almond paste doesn’t necessarily scream delish) and you can thank me later. 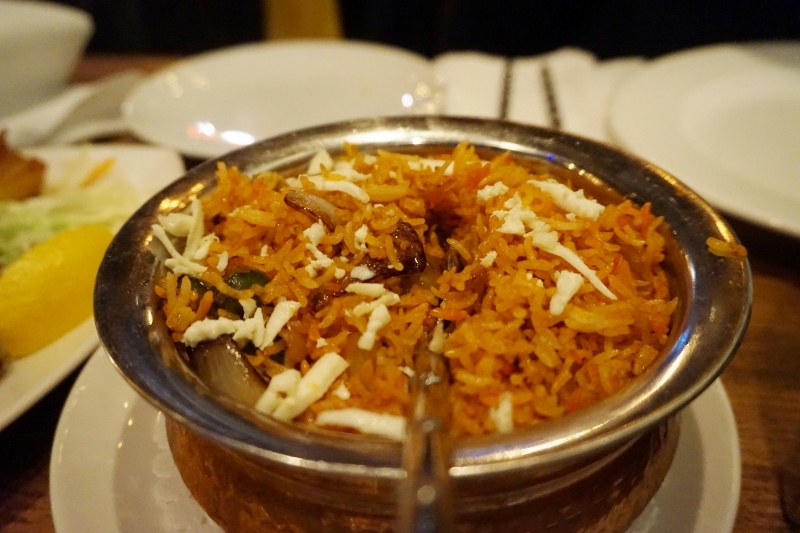 The Bombay Style Rice Pulao ($9.00). It is a braised basmati dish, with cottage cheese, spices, onions, tomatoes and vegetables cooked pao bhaji-style. 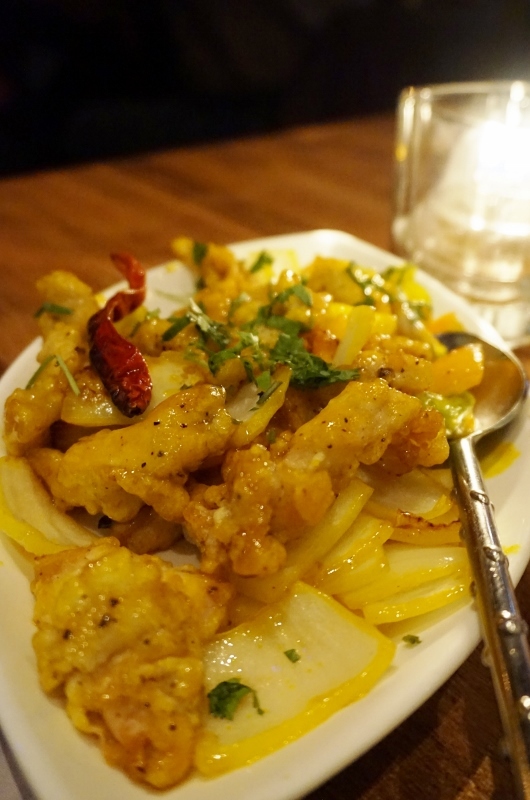 This Mango Chicken ($11.00) kind of reminded me of the Chinese style ‘lemon’ or ‘mango’ chicken as it was prepared in slightly the same way. Tender pieces of chicken coated in a batter, deep fried, then coated and served with a lemon or mango sauce. To go along with our rice, we had the Chettinad ($15.00) which is made of chicken, tamarind sauce, curry leaves, and coconut milk. 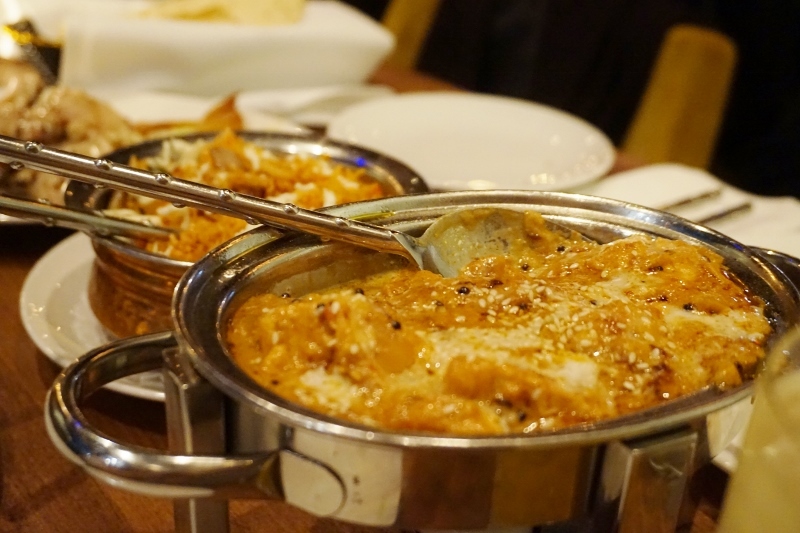 This was definitely a more elevated version of the classic butter chicken that I know and love. The flavours were more complex because of the tamarind, and it didn’t feel incredibly heavy in taste. In the future if I go to an Indian restaurant and they serve this, I would gladly order it instead of butter chicken. 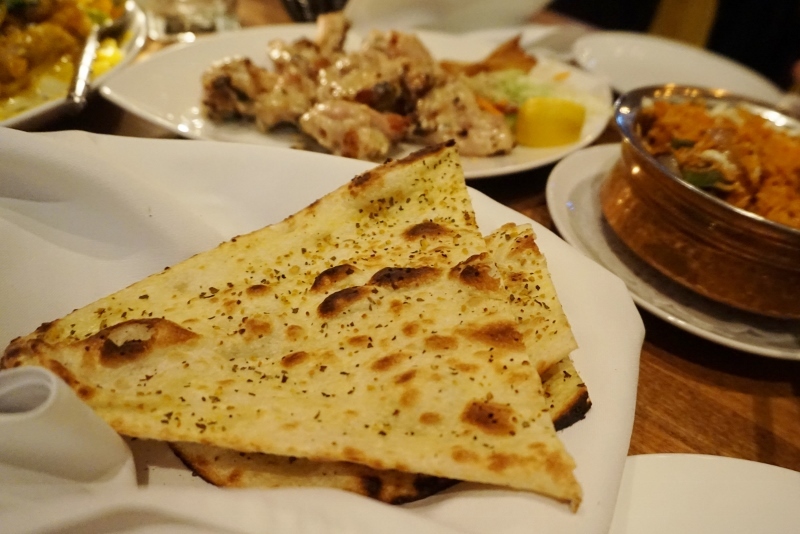 No meal would be complete without some Garlic Naan ($3.00), am I right?? 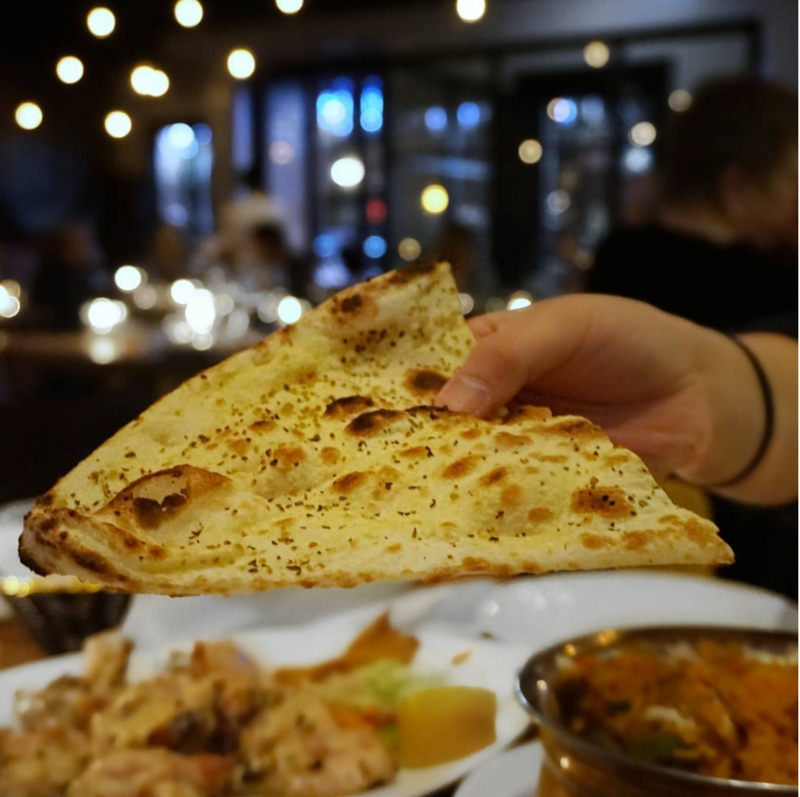 This naan was more crispy than soft which is not how I usually like my naan, but at the same time I don’t know which style is more ‘authentic’ so I guess it’s all up to your personal preference. Either way, it acted as a great canvas for soaking up all of the delicious sauces. 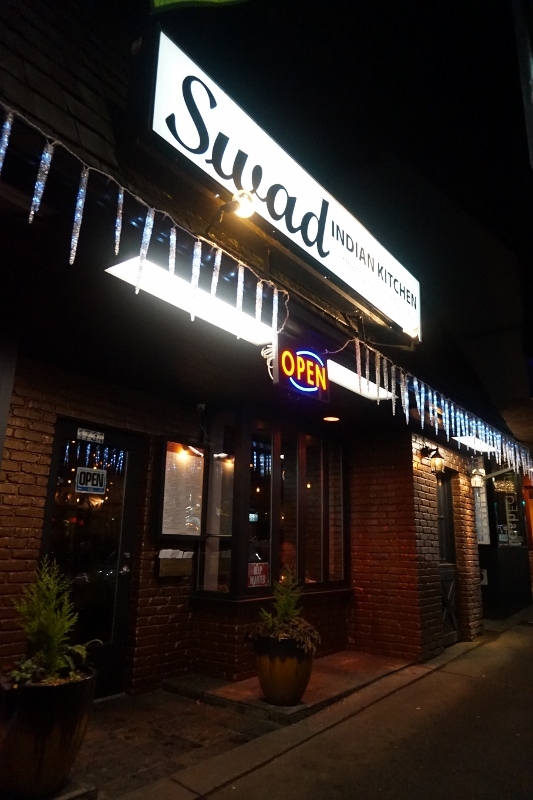 All in all, Swad Indian Kitchen is a great romantic spot for couples wanting to have a nice date night. The interior design will charm you, the Swad-E-Khas chicken dish is to die for, and you won’t leave hungry as their menu is extensive and full of variety.